A Hüsler Nest is a delight in every way. 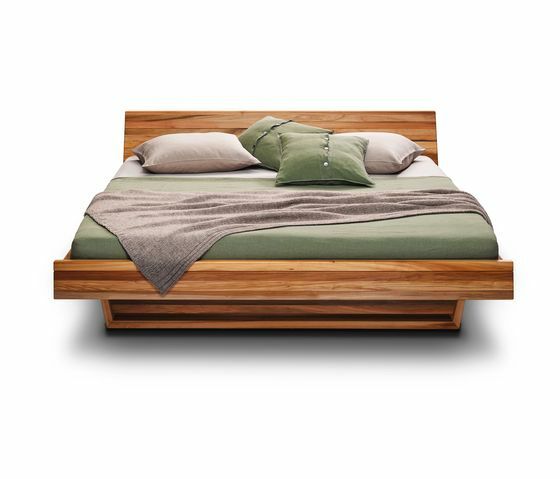 It combines modern design with the cosy, inviting warmth of bed. The original bedstead for the Hüsler Nest sleeping system is crafted of 100% solid wood, is completely free of metal parts and has a natural beeswax finish. A special feature is that the frame insert is part of the bed construction. The frame insert is not hung in the bedstead but rests on two legs. Naturally you can also choose a frame insert with adjustable back and/or leg rests. The bed legs are also available in a variety of versions such as straight or Trapezium. The Couch bed can be ordered with or without headboard. The complete Hüsler Nest sleeping system is optimally combined in the couch bed.